I had big plans to post this yesterday, but then I became glued to the Oscars. I watched all 3 hours just to see Leonardo Dicaprio finally win an oscar and then he didn't win! I was so disappointed, but I loved Ellen's hosting! Can she host every year? Love! 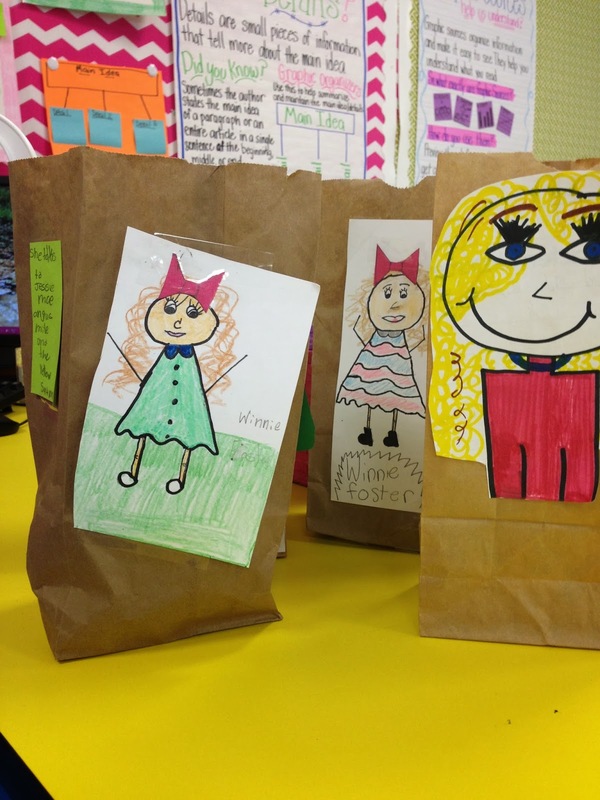 We used Runde's Room's Paper Bag Character Project as our weekly project. They turned out great!!! I LOVE this project. You can find it here. 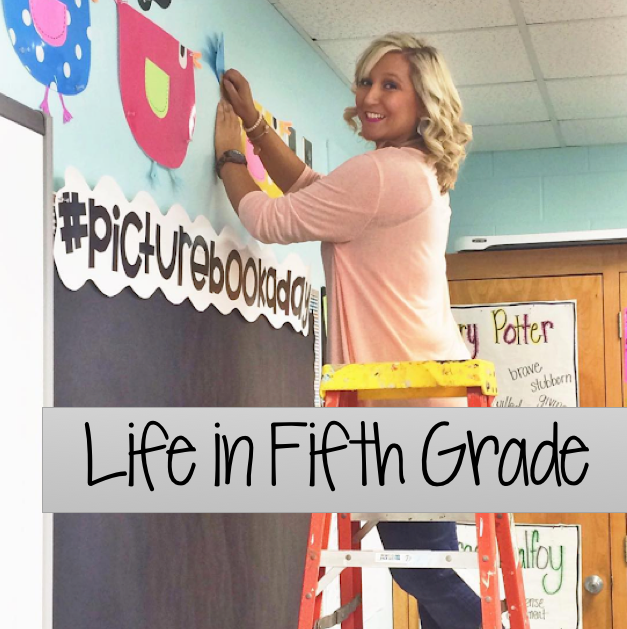 It worked fabulously with my fifth graders, but it could easily be used with lower grades too! 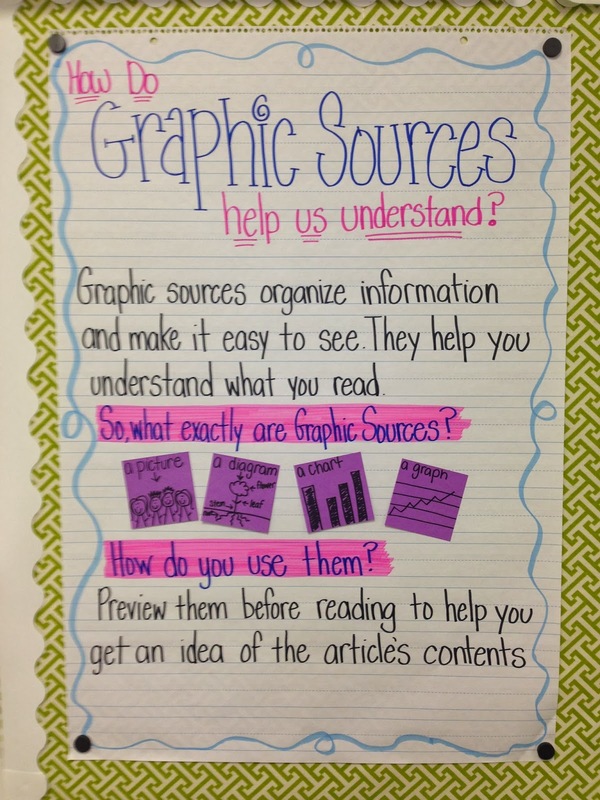 "Graphic Sources" is our comprehension skill this week, so I made a helper chart for them to refer to. 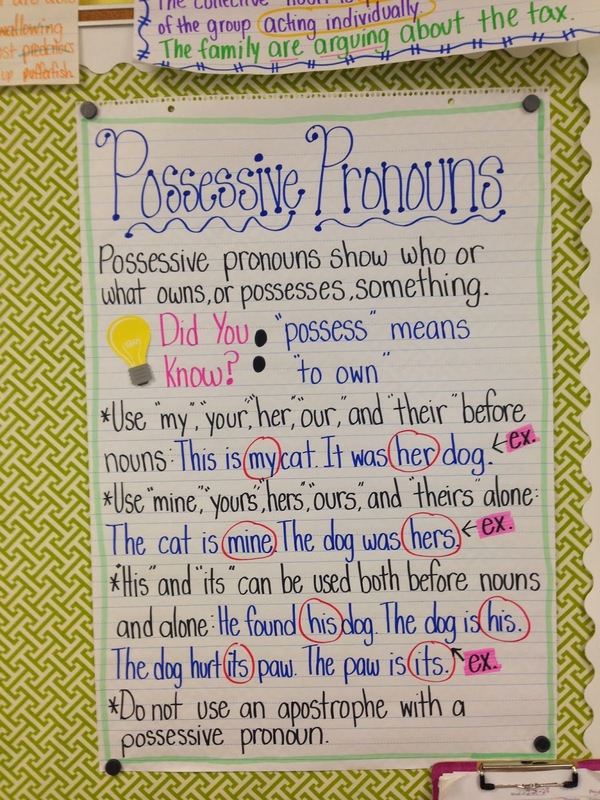 We're tackling possessive pronouns this week, too. I so wish we had more time to focus on language arts. I would LOVE to just teach this subject! I love teaching parts of speech. Isn't that light bulb sticky note too cute? Such a great Target find from this summer. I went back to get more and they were all gone!) I'm using my last set sparingly. My kids are struggling with vocabulary words, so I decided to display them in several places throughout the classroom in hopes that they click at some point during the week! Here's hoping! I found this fantastic giant green post it at Office Max this week. 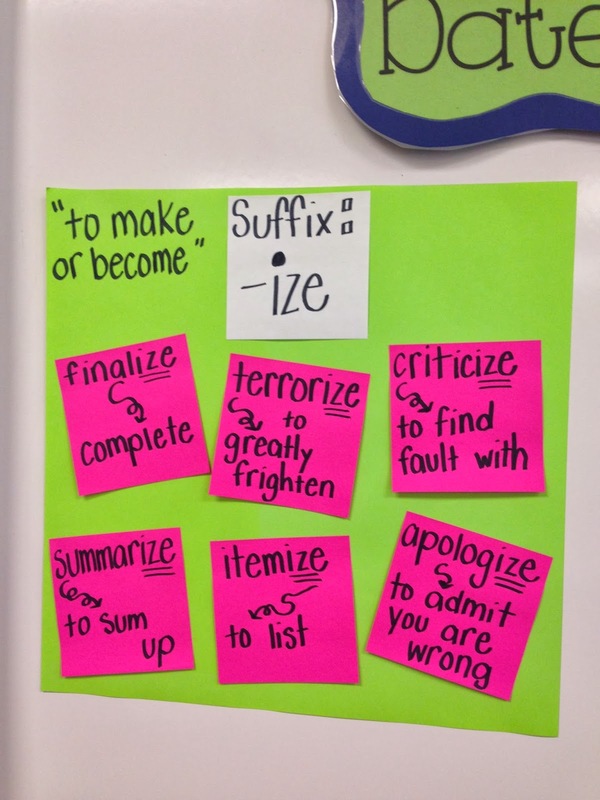 It worked great for displaying the word analysis skill using different color post its. While going through some of my first grade classroom things this weekend, I came across this set of Froggy Phonics books. This was one of the last things I bought at the end of last year before I officially decided I wanted to move to fifth. So this little gem hasn't been used AT ALL! I decided to give it away so it could be put to good use! There's a set of books for all short vowel sounds, as well as long vowel sounds. 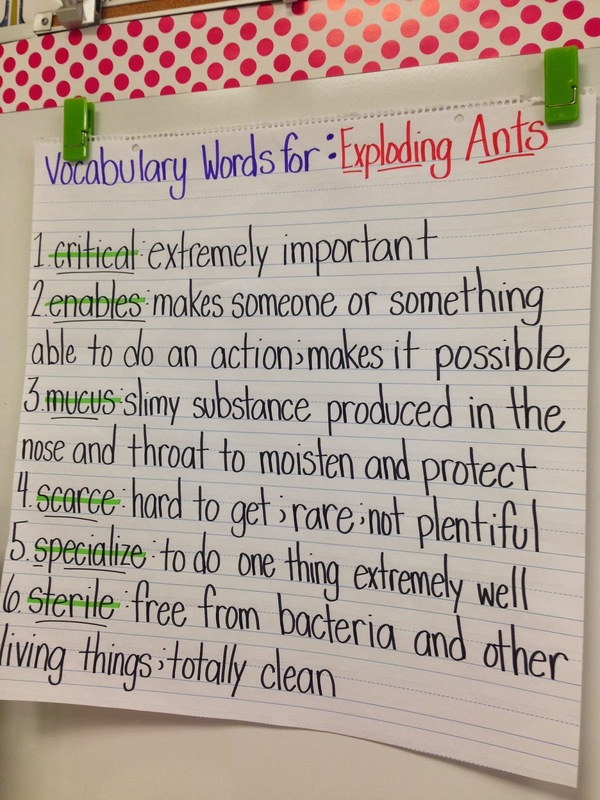 They are perfect to use in independent reading centers and would work great in a Jonathan London author study!